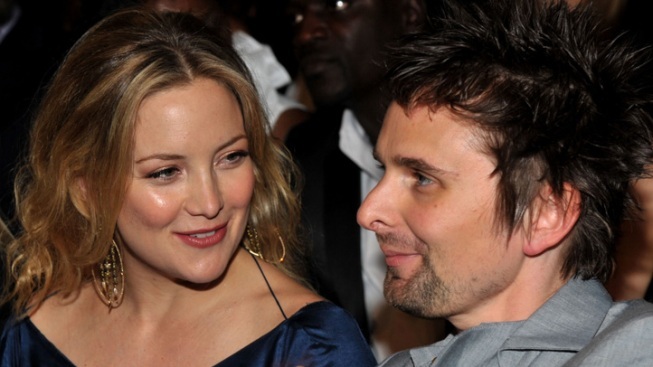 Kate Hudson and fiancé and Muse frontman Matthew Bellamy welcomed a baby boy July 10. Kate Hudson has given birth again—and the surprise: It's another boy! The famously sunny actress gave birth Saturday night in Cedars-Sinai Hospital in Los Angeles, just hours before Victoria Beckham delivered a daughter in the same hospital. Hudson's mom Goldie Hawn and fiancé Matthew Bellamy, frontman of the Brit-pop band Muse, stayed close to Hudson's side. The baby, Hudson's second but her first with Bellamy, was reported healthy. But his gender might have come as a surprise to Hudson, who told Ellen DeGeneres last month that she suspected she was having a girl. She opted to keep her baby's gender a surprise even to herself, though, and celebrated at a gender-neutral shower last month. Hudson has said that this pregnancy couldn't have been more different from the one that produced seven-year-old Ryder, who has a rock and roll dad of his own in Black Crowes' singer Chris Robinson.